Egis Technology Inc. (EgisTec), headquartered in Taipei, Taiwan, with an office in Hangzhou, China, is a leading sensor provider of fingerprint biometrics and data encryption, specializing in integrated turnkey solutions with an emphasis on sensor performance and software usability. EgisTec fingerprint solutions offer a high level of security and convenience by enabling end users to launch programs and documents with a simple swipe of the finger, relieving them from memorizing multiple password accounts. In addition to biometric sensors, EgisTec offers home and business security solutions. Software includes PC protection, data shredding, encryption, data leakage prevention, secure sharing, and remote data deletion. EgisTec turnkey solutions have been bundled with over 30 million PC and mobile product lines worldwide, and distributed in over twenty languages. With over 60 patents worldwide, EgisTec has vast experience in the integration of fingerprint biometrics software and hardware. EgisTec has a strong commitment to providing high quality and cost efficient solutions for fingerprint biometrics and data encryption to customers. In addition to the existing collaboration with global OEM companies, EgisTec is expanding into business with leading suppliers of PC and mobile devices. EgisTec aims ultimately to be the fingerprint security brand with the largest user base in the world and has selected Amazon Web Services (AWS) to help them toward this end. The company's software platform includes Apache Tomcat and Microsoft IIS servers, and Java and ASP.net programming languages were used to build this solution. 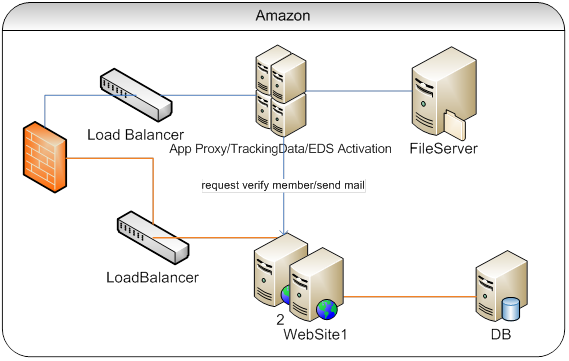 When deploying applications on AWS, Jenny recommends running EC2 instances from AMI (Amazon Machine Image) configured with an Amazon Elastic Block Storage (Amazon EBS) to avoid missing configurations and data. These features included in a cost-effective platform are a winning combination for EgisTec.